The Housing Industry has been a big component of today’s U.S. economy. Many experts agree that the Hispanic Housing Market has been the biggest driver of this boom over quite some years now. In recent studies, we found that more than half of Latinos buying houses work with a Latino real estate broker or professional. So, we wanted to know and present to you, who are some of the Top Latinos making this happen. Our research included a process of screening nominations, independent research, National Association of Real Estate Professional (NAHREP) lists, and our own findings. A native Texan, he’s owner of RE/MAX Universal.Under Matt’s leadership, he has been able to help companies dramatically increase revenue production and employee morale. Matt has always believed in the importance of engaging new ideas and professional development. As a manager, Matt cross-trained his teams allowing them to gain leadership and management skills and move within the company. As a top producer, Matt consistently exceeds goals and is willing and ready to share best practices with other agents. After joining Matt’s team, agents have gone from no production to multiple units within weeks of joining his team. Matt enjoys giving back and helping agents and clients achieve their goals. He is bilingual in Spanish and English and is often asked to serve as a translator. An entrepreneur at heart, Matt is very dedicated to serving his customers and building long-term relationships. He is self-motivated, goal-oriented and focused on quality. The house-buying and house-selling experiences should be exciting and memorable. Matt strives to provide the best service and loyalty to his clients. Luis Ortiz, a Real Estate Broker with RE/MAX Partners, has been in the business for nine years. He is a dedicated and committed broker who consistently goes above and beyond for his clients. Luis’s energy and unmistakable knowledge of the area and the business make him an ideal choice for helping with all of your real estate needs. Luis has been awarded the NAHREP Top 250 Latino Agent award for 4 consecutive years, 2013, 2014, 2015, and 2016. He was ranked #23 in the nation and #1 in Illinois for 2016, the Chicago Association of Realtors named Luis as a Top 1% Producer. He was also acknowledged for being the Top Producer in Cicero, Berwyn and Stickney for most units and volume sold. Team Motto: Love, Serve and Care. The Team is actively involved in it’s primary market area community and have volunteer at The Greater Food Depository, and St. Thomas of Canterbury Church Soup Kitchen. Working alongside local Latino Leaders to educate and inform the community of the home buying process, Janie Rivera Conley work with home buying counselors that help prospective homebuyers locate grants for down payment assistance and closing costs. Janie enjoys giving back to her community as at least 75% of her business comes from Latino first-time homebuyers. Since 2013, she has been the president of the Hispanic Roundtable, Inc. of Racine, WI - a nonprofit organization that focuses on giving back to the Hispanic community through community home restoration funds to help with emergency home repairs for local Racine County homeowners. She travels to Milwaukee, Waukesha, Racine and Kenosha Counties to help her clients in the home buying process. Janie had 49 closed transactions sides in 2015 and 68 closed transactions sides in 2016; and to date continues expand her business to help the Latino Community. Vera Alicia Vasquez, better known as Alicia, was born in Zacatecas, Mexico in a rural town by the name of Jalpa. She came into this country at the tender age of three only to be deported three years later along with her five brothers and sisters. Her family persisted on living the “American Dream”. She became employed by Levi Straus, a company specializing on producing Levis jeans. She was employed for more than seventeen years and and became a spokesman for their redesign program. When receiving a phone call from her brothers in Dallas about joining their Real Estate group, she became intrigued. Attending real estate school and working twelve hour shifts a day to provide for her only daughter as a single parent. She passed her exams and adventured out into a different city. Within a year of being in Dallas, Alicia built her clientele and has been one hundred percent referral since. She is more than an agent. Her clients gravitate towards her. She is warm, loving and caring person. Andrea, was born in Ecuador and she lived there until 2013 when she moved to Dallas.She became a Realtor in 2014, and her vision is to help a community that is not served as they deserve it, so she decided to serve the Latino community. She’s constantly looking for people and companies who have the same goals, that’s why last year she joined Alicia Treviño at Century 21, who has been a leader in the market for over 25 years. Today she’s proud to say that she has help more than 170 Latino families to accomplish their dream of owning a home. Andrea also joined Terratino.com, because if their commitment and service to the Latino community. And she’s part of a movement called “Ya estoy listo”. This movement was created to give back to the Latino Community. Ivan began his career as a C.P.A. in one of the most prestigious firms in the country and started his career in real estate in the year 2007. Today, Ivan is a top real estate agent at the Douglas Elliman Beverly Hills office with a thriving team of his own, Ivan Estrada Properties. Ivan frequently travels nationwide as a featured speaker and panelist for Inman, The California Association of Realtors, NAHREP, multiple local associations and radio & podcasts throughout the country. Ivan’s hard work and persistence has awarded him multiple accolades which include Top Real Estate Influencer in Los Angeles for 2017, Top Producer Award from 2012 to 2016, and most honorably received the title of “Top 30 Under 30″ in real estate in the nation for 2014. Ivan’s team is very involved in the community and are very humbled for their involvement in contributing to over 50 charities locally, regionally and nationally. Out of every transaction, Ivan’s team give a portion of every commission to a charity of the client’s choice. Honesty, integrity and unparalleled standards are just some of the words that could be used to describe working with Gabriel Bedoya. His knowledge of the Manhattan and Southern Florida real estate markets has consistently earned him the highest honor and recognition bestowed by the Corcoran Group. He is also a proud member of Corcoran’s Top Multi-Million Dollar Club and is recognized as one of Corcoran’s top 25 brokers and was Manhattan’s Rookie of the year. When it comes to real estate and real estate management and investing, Gabriel possesses unstoppable energy, drive and determination. These qualities, coupled with a sound understanding of the meaning of customer service, make him an invaluable resource to buyers, sellers and investors. He takes the time to gain a thorough understanding of a client’s objectives. He held a position as V.P. of Sales and Marketing and Sales in the Airline and Duty Free industries. Prior to that, he was Directeur de l’Hebergement at the very posh Hotel Plaza Athenne in Manhattan. Eduardo Cerna, over the course of his career has brokered nearly $1 billion in real estate transactions. A 27+ year veteran, Ed’s proven ability to increase his clients’ net worth, and his capacity to understand their financial goals in the context of dynamic and ever-changing market conditions, set him apart from other brokers. A consistent Top Agent, Ed has brokered some of the most notable multifamily transactions in the company. One of these deals resulted in the brokerage of the largest transaction for a loan origination in the history of Marcus & Millichap Capital Corporation. Cerna’s brokerage savvy has led to several companywide recognitions, including recognition as a Top 10 investment professional companywide in 1998, a Top 20 investment professional in 1999 and a Top 30 NMHG investment professional in 2011. In addition, he has received many companywide awards including a Platinum award, 15 National Achievement Awards and 22 Sales Recognition Awards. Alex Zylberglait, CCIM, SIOR is Senior Managing Director of Investments with Marcus & Millichap in Miami. Over the last 20 years, Alex has been involved in over $1.6 billion worth of transactions involving office, single-tenant net-lease, industrial, land and retail properties in South Florida ranging in value from $1 million to $20 million. Alex works closely with domestic and Latin American investors. Alex has been ranked as one of the top 20 Marcus & Millichap agents among over 1,300 agents nationwide and has received the 2015 Chairman’s Circle of Excellence Award, Marcus & Millichap’s highest sales recognition award. Alex also received the 2015 NAIOP Award for Office Broker of the Year. Prior to joining Marcus & Millichap, he was director of acquisitions for a large operator in the Southeast U.S., Prior to that, he was an advisor to financial institutions with Ernst & Young for disposition and valuation of performing and underperforming assets as well as REOs. Alex has earned the designations of Certified Commercial Investment Member (CCIM) and Society of Industrial and Office Realtors (SIOR.) He received his B.A. from the University of California and his MBA with a concentration in finance and real estate from the University of Illinois. As a multi-award-winning Realtor, Lidia has proven year after year that she exceeds expectations and gets results. A Denver-savvy native of Hispanic decent, she offers expert advice and outstanding service through every step of the real-estate experience. She understands that each client brings their own unique experience, culture, dreams and she strives to listen and understand the needs of each one. She has volunteered for La Raza Youth Leadership Conference, Women of Color Conference, taught ESL at Iglesia Nazareno de Westminster, volunteers at A Precious Child and Dolls for Daughters. She has also raised funds for Denver Bridge Project, as well as donated funds to El Centro Su Teatro, and the Latin American Educational Foundation. Lidia was also a recipient of an LAEF scholarship. She is a multi-year winner of the 5 Star professional award as published in 5280 Magazine, Multi-year Diamond Award winner, and Executive Award winner. Prior to becoming a Real Estate Professional, René retired as a highly-decorated Army Colonel. This unique background positioned Rene to transition into an equally successful Real Estate career. Along with his wife and Business Partner, Deborah DeMoss Fonseca, he formed The Fonseca Group. They sell Real Estate in VA, D.C and MD, which combined, comprise one of the fastest moving Real Estate markets in the country. Rene forms part of the Long & Foster elite Gold Team of Top Producers. Furthermore, he has the prestigious achievement of being a Member of the Northern Virginia Association of Realtors “Multi-Million Dollar Sales Club.” He has served for 10 years on the Board of Central Union Mission - the nation’s oldest and largest homeless shelter. He has been appointed by the Governor of Virginia in recent years to serve The Commonwealth as a Member of the Boards of: The Virginia Real Estate Board, The Virginia Real Estate Board of Appraisers, and the Board of Regents of Radford University. #1 Hispanic Realtor in the U.S. (NAHREP 2017) Houston’s #3 Residential Realtor (HBJ 2017) and US #9 Residential Realtor in the U.S. (WSJ 2016). Mark Dimas is the Broker Owner of Mark Dimas Properties located in Cypress, a suburb in the Houston MSA. With his main office in the Houston area and satellite offices in San Antonio, and the Dallas Fort-Worth area, Mark has become the “Go-to” agent for traditional clients and institutional firms looking to transact SFR acquisition and disposition in Texas. With 15 years of experience, Mark has become one of Houston’s leading real estate brokers with a reputation for his strong work ethic and tenacity in representing his clients’ best interests. Thanks to his exceptionally loyal clientele, Mark’s business is over 90% referral and repeat clients, and it has maintained a near perfect client experience record with over 650 positive reviews making him the #2 most reviewed agent with the Houston Association of Realtors. Marty Rodriguez has been selling residential real estate in Southern California for the Century 21 System for the past 39 years. She has an incredible real estate sales record, both in the Nation and in the “WORLD”. She is recognized as the most successful real estate agent in the history of Century 21. Marty and her team have sold over 4.2 Billion Dollars in real estate and have been ranked as #1 in the nation for 21 years and #1 in the World for 7 years. Her unmatched industry knowledge gives her the advantage to advertise and move real estate in any market. Her outstanding motivational and leadership skills drive her to a level of success that only a few can claim. Marty also signed a Charter to have her own “Marty’s Dream Team” Chapter of City of Hope. Marty believes with great success also comes an even greater opportunity to give back. Claudia is the team leader for the Legacy Group Spokane, part of Keller Williams. Born and raised in Colombia, South America, she grew up in a family of successful entrepreneurs.. She came to the United States in 2003 to learn and study English, in which she has become very fluent, along with her native language Spanish. Claudia is a very positive person and she truly enjoys working with people. She is exceptional at listening to her clients, and always puts their needs first. The Legacy Group has been, for 9 years in a row, a Top Selling Real Estate Group in Spokane. Claudia and her team feels very strongly about their marketing plan, they utilize the latest technologies, market research and business strategies to find solutions that are tailored to the real estate needs of each client and surpass their expectations. William has a degree in Communications with an emphasis in negotiation and a minor in Economics. He is one of the most experienced, professional Realtors in the region and is Ranked #1 in Utah. In his 22 years as a real estate professional, William has closed more than 2,500 transactions. William is driven and hard working. His powerful negotiation skills, meticulous attention to detail, and high expectations have proven advantageous to his clients. He is affiliated to the Park City MLS, Salt Lake Board of Realtors, and the National Association of Realtors. The William Bustos Group is an industry leader in the Utah real estate market, they were ranked on 2014 as a Top Performing Group for Utah, 2013 KW Regional &Marketing Top Performing Group, 2012 Ranked #1 in Utah & top Large Sales Team of the Year. Carrasco constantly presents his clients with a top notch marketing approach, bringing value by giving his clients options for buying and selling their homes and reaching back into his local community through his Marshall Realty Giveback program which sponsors everything from stand out students and teachers to pet adoptions to food drives and more of the like. 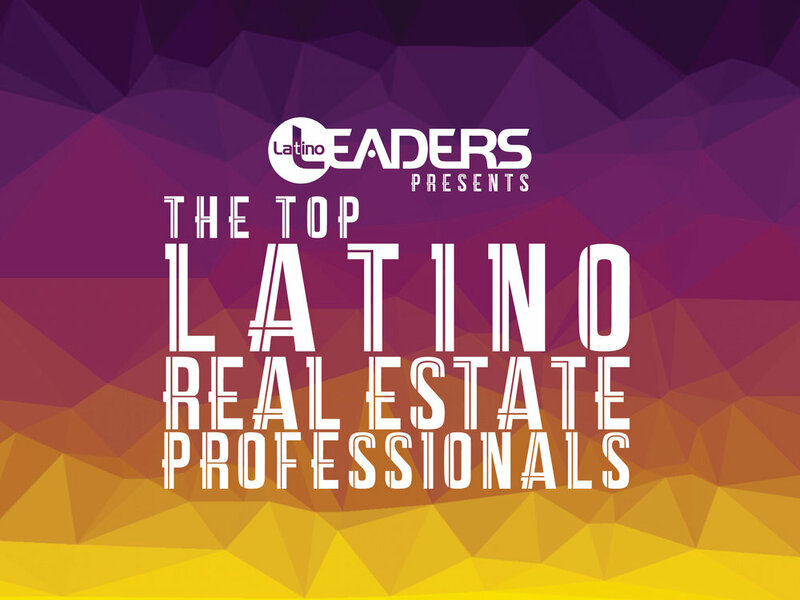 Carrasco has been climbing the real estate ladder for fifteen years now and was recently named on the Top 250 Latino Agents coming in at Number 5. In the past four years, Carrasco has held one of the top 5 positions and continues to make his mark in the real estate industry by consistently changing the game of real estate. Carrasco and his team at Marshall Realty close an average of 400 deals per year, and were also recently named the number one real estate team in Nevada by Real Trends and The Wall Street Journal. Cristina thinks that success is always a team effort and believes that she and her husband Kerby, have the privilege of leading some of Minnesota’s most talented, hardworking agents and support staff in the country. Their mission is to help clients achieve their goals through their expert team and innovative systems. They are in a constantly evolving industry; the market is continually changing and sellers and buyers need an expert by their side to navigate it effectively. That is why their clients come back to them time and time again. For a few years, right out of college, Cristina had the privilege of working for an incredible nonprofit helping immigrants and low-income residents start their own businesses. And she left there knowing that she wanted to build something great with her life that would always provide great opportunities for others to succeed in their lives. The Salas Team Realtors Ltd.
Shelly is a first-generation child of migrant parents. Her parents instilled in her to work hard and always reach for her goals. Her dad told her at a very young age, “Mija, if you don’t want to be a migrant worker like me, get your education and do whatever you want to do in life.” Those words have always stuck with Shelly. She became the first member of her family to graduate from college. She’s an Army Veteran, joining when she was 19 years old. She was the first one in her family to join the military. Shelly has been featured in Wall Street Journal several years for being in the top 250 agents/teams nationwide. She was just ranked #7 2017 Hispanic Realtor nationwide by NAHREP and has also received several top corporate awards for her successful real estate transactions from her corporate clients. She loves being able to help her clients to buy/sell their homes and start new adventures. David develops relationships with the vast majority of his clientele due to his expertise in the market, international connections and his track record in the Real Estate Industry that has earned him to be one of the top Realtors in the nation. When selling a home for any of his clients, David and his professional Team are not afraid to push the market and will work to get the most money for a property. When buying, his negotiation skills will get you the best deal possible and make it simple to get what you want. David understands how important confidentiality and discretion is for every one of his clients and he is committed to that. A large number of his clientele comes from both local and nationwide relationships and if you need to relocate throughout the US and/or Internationally, he will entrust a knowledgeable and reliable partner to make it a smooth move for you. Leo Pareja entered real estate at just 19 years of age and by 28 he was the #1 Keller Williams Agent in the world. During his 15 years selling, Pareja sold close to 4,000 homes representing around 750 million in transactional volume. In parallel to selling real estate, in 2012 he co-founded and continues to co-own Washington Capital Partners, one of the largest private lending companies in the mid-Atlantic region. Today, as the CEO of Remine, he and his organization deliver big data visualizations and predictive analytics to real estate agents exclusively through their MLS. Pareja has been highly involved with the National Association of Hispanic Real Estate Professionals where he serves today as 2017 National President. Christine Delgado has been with Keller Williams for 13 years. Although she started her career in real estate in 2004, in 2006 she was asked to join the leadership team at Keller Williams Tampa Properties where she assisted over 200 real estate agents through coaching and consulting. In 2009 she rejoined the Delgado Home Team with her husband as Co-CEO to run a thriving business selling over 3000 homes and serving families throughout Hillsborough, Pasco and Pinellas county. She has served as a member of the Agent Leadership Council (ALC) for Keller Williams Tampa Properties and her team has been named in the Top 1% of Real Estate Teams in the country according to REAL Trends published in The Wall Street Journal. Her desire to help others has grown the Delgado Home Team to 20 experienced team members and they are always ready and willing to help the Tampa Bay community with their home buying and selling needs. Carissa’s well-rounded 14 years in the industry has earned her the reputation as the “jack of all trades.” Carissa’s background includes extensive work and expertise in the areas of residential and commercial real estate, investment property, property management, REO, loss mitigation/short sales, and corporate relocation. Carissa began her career with the largest global relocation provider in the world. Through acquisition, Carissa found herself at Freddie Mac managing a large portfolio of inventory properties covering the country. This experience was invaluable as she learned the “other side” of the business. Later, she also assumed responsibility for a large portfolio of mortgage back securities with Bank One. Carissa’s real estate career has been tremendously successful because she truly enjoys helping people. She provides a tailored approach to working with her clients be they buyers or sellers. No “canned” approaches here. She is a sought after speaker and educator on a national level in the areas of investment, foreclosure, and short sales. Veronica Figueroa is one of only 20 Agents in the Nation who is a Zillow Agent Advisory Board Member. Veronica is also a National speaker for Zillow, NARHEP, and INMAN Connect. Her areas of expertise are Lender Product Knowledge (FHA, VA, Conventional, Down Payment Assistance & Jumbo Loans), New Home Sales/ Custom Home Sale, Proven Marketing Strategy. Veronica has won various awards. They include the 2015 ORRA TOP PRODUCER CLUB - GOLD, NAHREP Top 100 Nationwide- Ranking #23 in the US, RE/MAX Hall of FAME Award – 2014, 2015, 2016, RE/MAX 100 % Award – 2012, 2013, Wall Street Journal Top 1,000 Realtors 2016, Orlando Hot 100 Realtors- 2016, Orlando Board of Realtor - Community Award 2013. She was also voted Who’s Who in East Orlando Real Estate 2012-2015 and appeared in Powerful Business Woman - Insight Magazine Top 10% 2008-2015. She is also a State of Florida- Real Estate Instructor and a Florida Hospital Powerful Entrepreneur Women Mastermind Member. When Monica started her real estate business over in the Houston area in 2008, she wanted to be something different in real estate- no begging for business but rather establishing relationships with her clients and impacting the community in a positive way. She didn’t want to be a salesperson but rather a Real Estate Professional. To meet her goal, she began obtaining certifications and giving back to the community. In the years that followed, her business grew by leaps and bounds as more and more clients appreciated her knowledge and experience- evident by her reviews and referrals. In 2013, she formed the Monica Foster Team to better support her clients. Later, they were finally able to support their educational charities in a big way. For 2015, they placed in the Top 20 of all RE/MAX TX teams for the first time. In 2016, they placed in the top 5 Teams of all small teams in Houston and in the Top 100 of all RE/MAX teams in the U.S. Now, the Monica Foster Team is one of the most successful and respected teams in greater Houston and they look forward to doing more in the future.